Given that you were taught how to brush your teeth when you were a small child, the suggestion that you need to relearn the proper brushing technique may seem a little bit silly. However, despite the fact that brushing should be a fundamental part of your dental care regimen, you may in fact need a few pointers in order to do it properly. Knowing the right way to brush is essential to keeping your teeth and gums in the best possible condition. Learning the correct brushing technique when it comes to your daily dental care routine really is the key to maintaining good oral health. 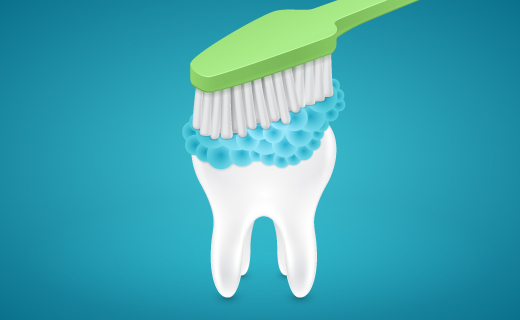 The fundamental purpose of brushing is to get rid of plaque and food buildup that can remain after you eat and drink. If plaque is not removed frequently, it calcifies to form tartar. When that happens, only a dental care professional with specialized tools will be able to remove it. Plaque that is allowed to sit on the teeth can also cause cavities, as well as gum disease. For these reasons, it really is important to brush like an expert so you can avoid emergency trips to your family dentistry practitioner. No matter which dentist in Atlanta you choose to see, you are likely to get similar advice about how to correctly brush your teeth. You will probably be urged to make sure that all of the teeth receive attention, and that sensitive teeth or out-of-the-way areas of the mouth are not neglected. Your family dentistry professional will likely suggest that you brush for at least two minutes per session in order to remove as much food debris and bacteria buildup as you can. Lastly, you will certainly be reminded to replace your toothbrush every three to four months to ensure optimal functionality. Once you have mastered the right brushing technique, you will want to make sure you have the best tools for the job. Conducting research on your own to help you select the right dental care products is a great way to find a perfect fit. Your dentist will also be able to offer affordable recommendations tailored to your unique needs. Ultimately, by achieving the perfect combination of brushing strategy and dental care supplies, you will be able to keep your teeth and gums healthy well into the future. To get the dental care you deserve from an affordable dentist in Atlanta, call today at or make an appointment. Dental One Associates offers affordable family dentistry and gentle, compassionate dental care in Atlanta. With 8 affiliated practices throughout Georgia, our offices are conveniently located with extended hours to meet your needs. At , we provide most dental services, from basic preventative care and general dentistry to specialized procedures and complete dental reconstruction. We accept most dental insurance plans and offer affordable financial solutions for any budget. Patient satisfaction is our top priority and we strive to provide the exceptional, affordable dental care and personal touch that lead to lasting relationships. A smiling patient is our greatest reward and we look forward to keeping those smiles healthy, beautiful, and bright. Discover an affordable dentist who truly cares at .